Looking for a best destination wedding planner in Kerala, Goa and Chennai at best cost ? Sketch nots is best destination wedding planner in India .Visit our website for more details about our services. If you are planning for destination wedding which is affordable and become one of the memorable time of your life than you can consider some destination wedding in Chennai as best option. Their are many places which endures beauty, peace and proves to be the best location for such auspicious works. You can make your wedding beautiful by choosing one of the options from the followings. Radisson Blu Hotel. The hotel is one of the finest place which can be booked for wedding purpose. The place contains 3 venues and have all basic and advanced amenitites. It have a seating capacity of 100 persons and floating capacity of 500 persons at a time. Amenities available are Parking, AC, Airport shuttle, bar, beauty sallon, coffee shop, gym, room service, spa and many more. Green park. The place can handle 9 venues and have seating capacity of 350 persons and a floating capacity of 800 persons at a time. The place is having almost all basic amenities like parking, payment mode, bar, conference hall, doctor on call and so on. Hilton chennai. The place is one of the best Destination wedding in Chennai which is big enough to hold up to 8 venues. The seating and floating capacity is 500 and 1200 respectively and the place is capable of giving all basic and advance facilities. The place provide services like Restaurant, Room service, swimming pool, wifi, handicap facilities and many more. Hotel Maris. Hotel Maris is known for its compact space in which 250 people can enjoy the auspicious day. The destination wedding is good enough to provide basic amenities like Airport shuttle, Parking, A/C, business center, Currency exchange, doctor in call and many others. JP Hotel Chennai. The hotel provides a venue of 7 in total. It have seating capacity of 90 and floating capacity of 350. The hotel provides amenities like parking, A/C, Bar, Coffe shop, Spa, Guide for site seeing, taxi service and others. It is counted in the one of the best wedding destination in chennai. The above list gives an idea and a few places which are best for auspicious work viz. wedding. One can reserve the place at a very affordable rate and make a memorable day for his wedding and the visitors. So make your wedding destination special by staying in chennai. 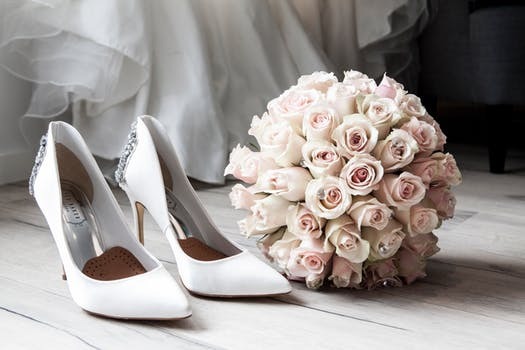 Destination wedding is the best thing you could do to celebrate this beautiful occasion of love and lifetime bond and it is a dream to cheer this amazing day with your loved once in some special way. Destination wedding is one of the most trendy and beautiful way to celebrate this day. There are number of wedding destination in India where you can go and just enjoy the most important day of your life. You can hire a destination wedding planner in Indiawho will let you celebrate the rituals of your wedding in the most special way. They allow you to extend your wedding celebration from two to four days with all the proper rituals.